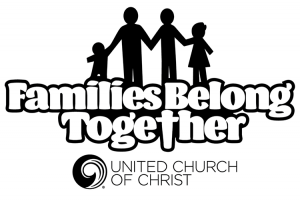 The KEEP FAMILIES TOGETHER fund of the UCC provides support for migrant families being torn apart while seeking shelter and asylum in the United States. Donations will be utilized through UCC settings and partners for immediate needs and legal assistance of children and families from Central America seeking asylum in the U.S. If you would like to donate much needed goods, the Good Shepherd church in Sahuarita, Arizona. is collecting the following for newly arrived people: • razors • toothbrushes • travel size toothpaste • bath soap • shampoo • towels • wash cloths • feminine products • coloring books and crayons for kids.